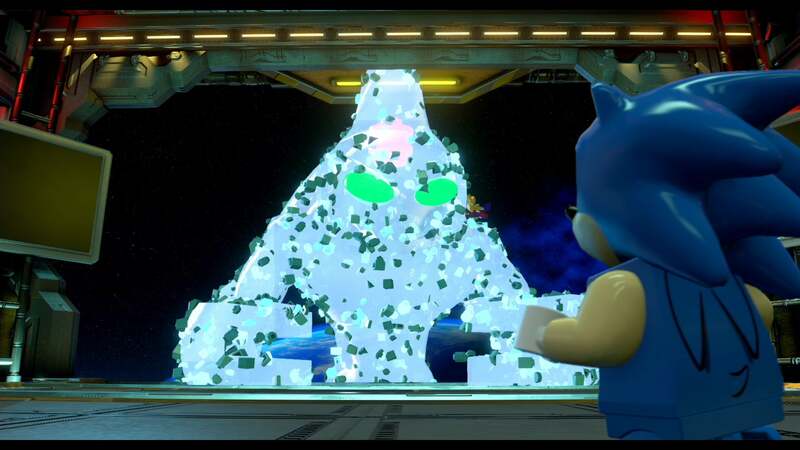 Sonic the Hedgehog made his debut in LEGO Dimensions last week with a level pack that sends Sega's hero through several generations in a quest to find the Chaos Emeralds. We played through a bunch of it on Facebook yesterday. Want to see? 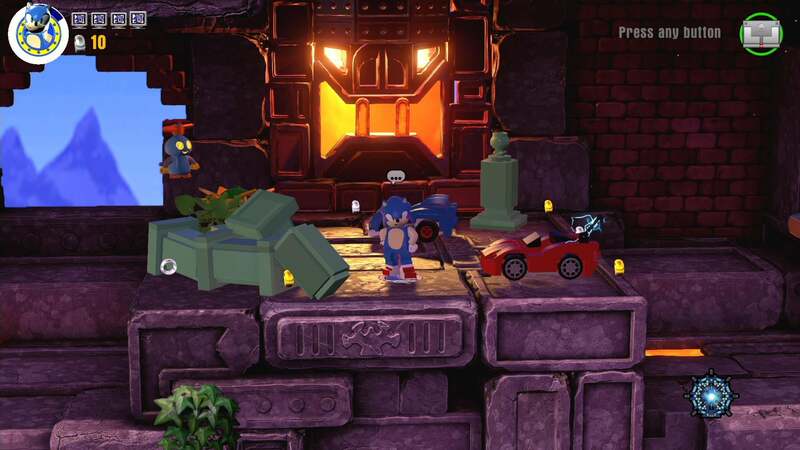 The Sonic the Hedgehog level pack for LEGO Dimensions comes packaged with Sonic in LEGO minifigure form, a racing car and Tails' biplane, all of which come into play during the lengthy adventure level unlocked in the game proper. It all starts off with retro LEGO, Sega and Sonic logos, before plunging the player into the good old Green Hill Zone. From there we're off on an adventure that takes us through iconic Sonic locations like the beach from Sonic Adventure, the damn Labyrinth Zone (complete with air bubbles and drowning) and a trip through the ruins accompanied by Omochao, who is as helpful as ever ("Fire is hot!"). Thanks, Omochao. Check out the full archive of yesterday's Facebook stream below. Mind me talking to people in comments you can't see. While I stopped the stream once I hit the Labyrinth Zone, the adventure continued, culminating in an epic showdown between Sonic and an ancient enemy. The LEGO Dimensions' Sonic level tries really hard to deliver a Sonic experience in LEGO form, but stumbles often trying to recreate the speed and fluidity. Great attempt though. Once the Adventure Level is over, the Adventure World begins. The level pack also unlocks an explorable Sonic hub world, packed with familiar sights, sounds and characters. Pretty much worth the price of admission right there. The Sonic the Hedgehog Level Pack for LEGO Dimensions is now on sale wherever such things are sold for around $50. As a longtime Sonic fan I liked it but it had some problems, like the music, it seems WB only ponied up the dough to get the rights to Sonic Adventure's tunes, the rest are all very off putting sound-alikes. Plus this level pack follows the LD trend of levels being either too short or far too long, plus holy crap the boss meters were unnecessarily long. But for all it's flaws there's still some fun to be had, they did a good job with Sonic's momentum based speed, makes getting around larger levels a bit easier without having to grab a vehicle. Not to mention that TT's almost Rocksteady level of love for the source material is present once again. I had Peter Venkman in my party and Sonic asked him "You're a ghostbuster right? I have this creepy doll that looks like my friend Tails, do you think you could take a look at it?" I don't get this to be honest. 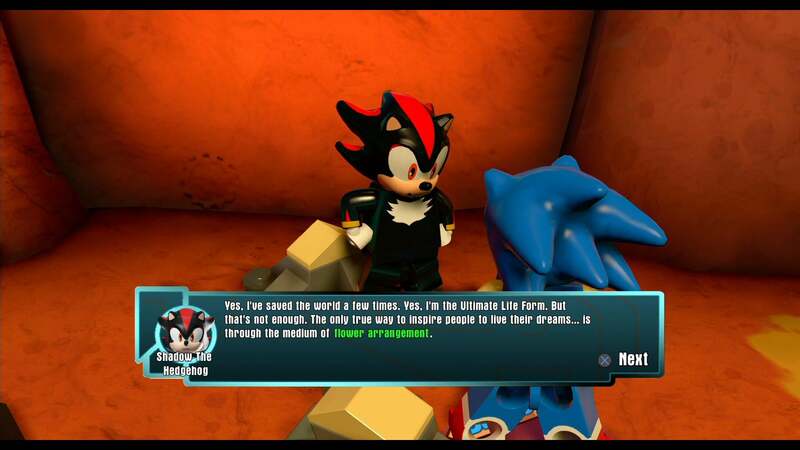 Sega is letting them use Sonic (or are being payed for using him), why would you not let them have the music etc too? That just devalues Sonic. best guess is that they could only spare the cash to license the music from Sonic Adventure 1, and it maybe was cheaper to just do sound alikes from 1,2,3 and Knuckles. Oh and to add to my initial comment, the story has an extremely abrupt end. You are Sega, you own Sonic. You are letting him appear in another game. Oh sorry, you have to pay us heaps more if you want to use the Sonic music. This makes Sonic worse. You are making your own character shittier. WHY? LEGO SONIC??? I don't even own the game but I need this in my life. GOTTA GO FAST. Hi Everyone, just wondering if someone can help me work some thing out. we have Sonic Level pack. My son and I are wondering how to enter the Sonic Dimension. When we go into the shard and try to jump into the Sonic Dimension, it wont go thru. Does anyone know how we get in to the Dimension please?